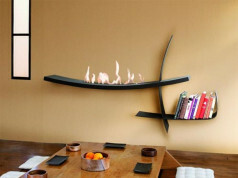 A O-flut bioethanol fireplace, by a Portuguese Glamm Fire, designed by Marcelo Inaci, is a modern and dynamic design that will certainly appeal to those who in addition to the unique shape of the bioethanol fireplace housing are looking for interesting burner shapes. 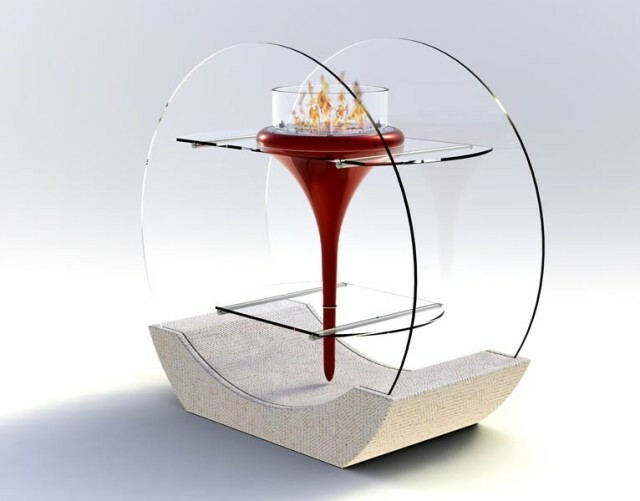 In this model, a bioethanol fuel tank is cleverly hidden in the bowl suspended on a glass shelf, thus burner itself is getting more subtle and delicate. 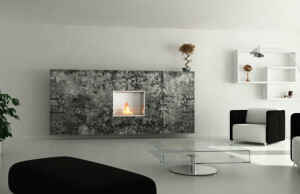 However, for the bioethanol fireplace not to seem too fragile and light, a thick conspicuous base was added which with its shape corresponds with round walls, maintaining the fire within bio fire. This model is a modified version of a Flut bioethanol fireplace, which was intended to decorate the gardens and pools, as well as larger apartments. 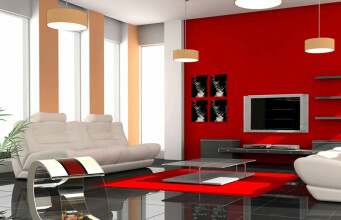 Its design will fit almost any modern interior. 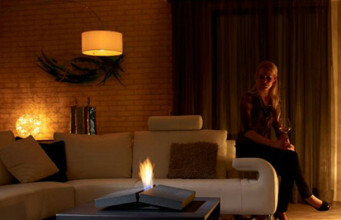 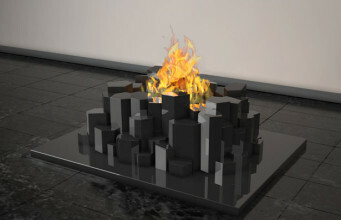 Bioethanol fireplace dimensions are the following: 110 x 106.60 x 54.2 [cm]. 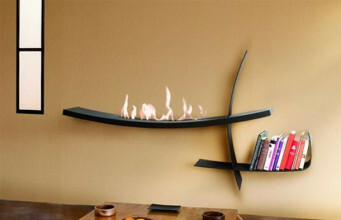 The whole weighs approximately 72.4 kg and is made from MDF baseboard (base), tempered glass and steel. 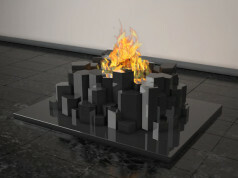 Bioethanol fuel tank volume is 2 liters. 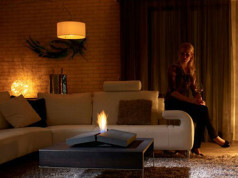 The bio fire is offered in three colours: with white or black base. 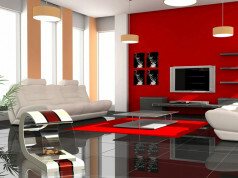 Another advantage is the equipment in the form of carbon monoxide detector.